Adam Tyler Burnett, age 24, of Somerset, Kentucky passed from this life on Saturday, October 6, 2018 at the University of Kentucky Medical Center in Lexington. He was born on October 3, 1994 in Somerset, the son of Lisa Phelps Burnett and the late Stephen Burnett. Adam graduated from Southwestern High School Class of 2014. He loved hunting, fishing and being outdoors. His children were the most important people in his life and being with them was the thing that he loved most in this world. 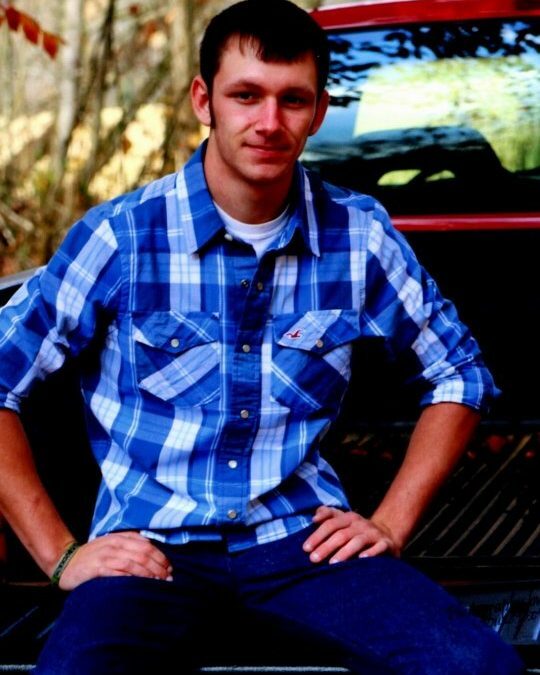 Adam was a welder and a member of Immanuel Baptist Church and he will be missed by all who knew and loved him. We know that our loss is truly Heaven’s eternal gain. He was preceded in death by his father Stephen Burnett and his grandparents, Linda Phelps and Doris and Gene Burnett. He is survived by his mother Lisa Burnett (and Terry Bryant) of Somerset; fiancé Natasha Slavey; his son Bentley Slavey and his daughter Rylin Burnett, all Somerset; brother Stephen Ross Burnett and sister Kimber (and Joe) Keeney, all of Somerset; grandfather Tommy Phelps of Somerset; uncles Jeff (and Angie) Burnett and Rick Burnett, all of Dry Ridge; Mike (and Christy) Phelps of Somerset and Doug (and Kiko) Phelps of Kansas City, Missouri; nephews Brayden Burnett and Zachary Burnett; numerous cousins, friends and extended family. Visitation will be at 5:00 p.m. on Tuesday, October 9, 2018 in the Chapel of Southern Oaks Funeral Home. Funeral Service will be at 11:00 a.m. on Wednesday, October 10, 2018 in the Chapel of Southern Oaks Funeral Home with Bro. Ron Shepherd officiating. In lieu of flowers the family requests that contributions be made to the Gideon’s Memorial Bible Plan.